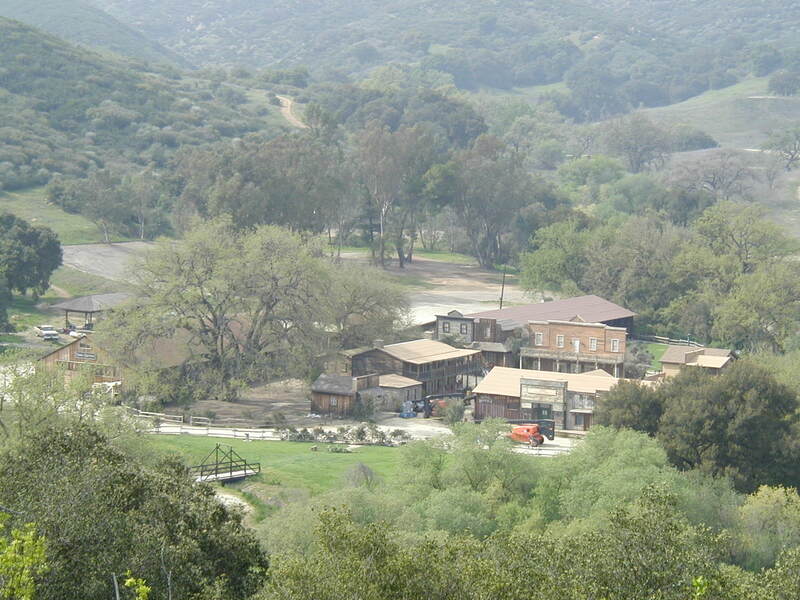 Unless noted these photos were taken at Paramount Ranch in Agoura Hills, California on January 23, 2019 when my wife, Julie, and I went hiking there and saw the Woolsey Fire destruction in person for the first time. Looking across Medea Creek from the parking lot toward what was once the Western Town. Before the fire you could just barely see the Town through all the trees. On November 8, 2018 the Woolsey Fire started south of the town of Simi Valley, California and burned west to the ocean at Malibu. On the way it burned through one of my favorite places to explore and hike, the Paramount Ranch and it's "Western Town" film set. 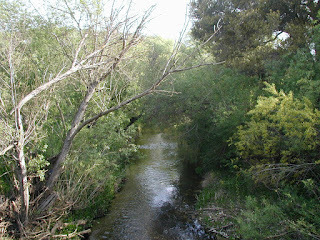 Looking toward the bridge over Medea Creek and the Western Town site. 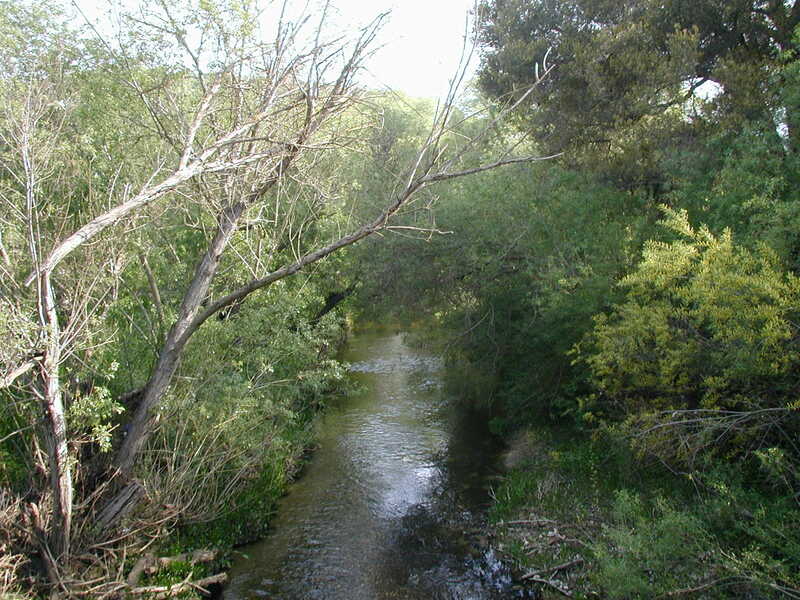 Medea creek pre-fire. The creek flows between the parking lot and the Western Town. Medea creek now, with the thick undergrowth burned away. Some green grass and weeds are already growing up. The church built for the Westworld HBO series. 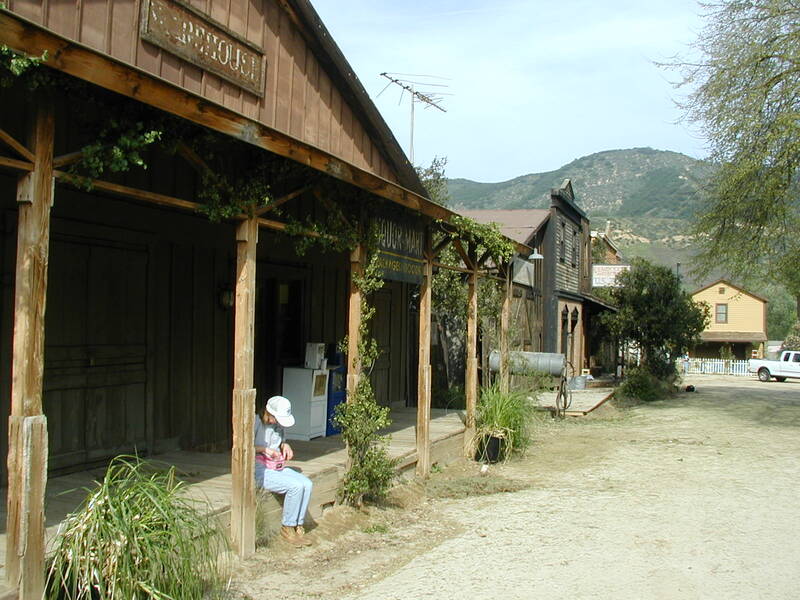 It was built on the site of a previous church that was used to film the Dr. Quinn Medicine Woman TV show. I believe the "Dr Quinn" church burned down many years ago. I remember it was still there on my first visit. Some of the old pre-fire Western Town building fronts. The town had 3 streets laid out in the shape of an H when viewed from above. I believe I took these photos in in 2006. 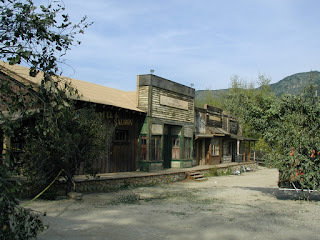 The appearance of the Western Town changed each time I visited as it was constantly rebuilt and redecorated to create the desired appearance for whatever project they happened to be filming. At the time of this visit it was decorated to look like a small abandoned town in the 1970's rather than a classic wild-west town. The same area today. Not a lot that didn't burn. Most of the buildings were wood or wood frame. The barn/stable building was a wood pole barn with corrugated sheet metal exteriors. For the most part they were real buildings, not just false fronts. But they were not fancy and did not appear particularly well-built. A few had finished rooms inside, others were just large open frame rooms used for storage. Just the minimum needed to give the illusion of a town for the camera. Julie sitting on a walkway in the old Western Town, I believe around 2006. The foliage and props you see were added for a movie they were filming at the time. Much of that green foliage is just branches or vines clipped from plants someplace else and tied in place with string. Others are plants in pots. This was once one of the streets of Western Town. Dr Quinn's medical office was on the far left side when looking at the photo. While the foundations and a few buildings looked to be adobe, brick, or rock, they were all just veneer over wood and burned. This is the massive oak tree that has been the site of many weddings, it burned pretty bad. Hard to say if it will recover, they sometimes do. All that remains of the barn/stable building. I took this photo of the train station around 2006, I believe. 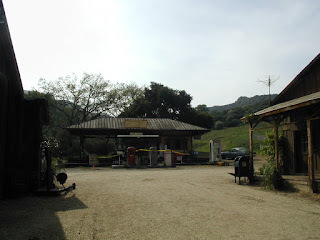 The train station had been converted to look like a gas station for a movie they were shooting. It survived the fire. Looking down at the former Western Town site from one of the banked turns on the former "Raceway" that winds through the park. The building in the foreground is the "Train Station". 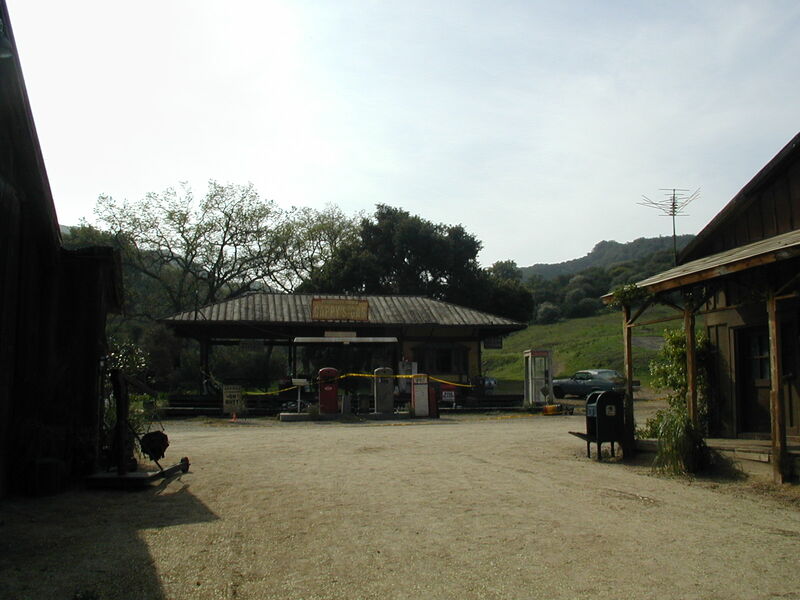 The Train Station built for the Dr. Quinn Medicine Woman TV show did not burn. It is the only building left from that era. None of the pre-70's buildings survived. The church built for the HBO Westworld series was built away from the other buildings in the town and did not burn. Looking down from hilltop at the Western Town in 2006. Burned shrub stems against the sky.